The Office of the Banking Services Ombudsman was established in May 2003 by the Central Bank of Trinidad and Tobago in conjunction with the commercial banks operating in Trinidad and Tobago, to investigate complaints from individuals and small businesses in respect of financial services provided by the banks and their subsidiary licensed financial institutions. In May 2005 the Office was expanded to include the handling of complaints from the participating insurance companies. As a result, the Office was renamed the Office of the Financial Services Ombudsman. In 2008, the passage of the Financial Institution Act, Section 127, Chap. 79:09 made it mandatory for any institution licensed by the CBTT to become a member of an Alternative Dispute Resolution (ADR) Scheme approved by the CBTT. The only such scheme in Trinidad and Tobago approved by the CBTT is the OFSO! Non-Banks joined the Scheme in 2009. Our main objective is to provide fair, sound assistance to customers who are not satisfied with their financial services provider and to mediate on behalf of those who have a complaint with their institution provided that the complaint falls under the Terms of Reference (TOR) under which the OFSO operates. This service is provided FREE to citizens and residents of Trinidad and Tobago. Our office was privileged to have held a number of sessions with certain interest groups as well as a wide cross-section of managers from the financial services industry. We stand ready to meet with other groups interested in learning about the service we provide. We believe that such interaction would serve as a catalyst for improved customer service, deeper public awareness and a stronger, more efficient financial services sector. We look forward to being of service to you, should you have a complaint against any of the financial institutions. The Office of the Financial Services Ombudsman (OFSO) is an Agency created under the auspices of the Central Bank of Trinidad and Tobago. The Ombudsman reports directly to the Governor of the Central Bank of Trinidad and Tobago. Mr. Stoddard is a member of the Bank’s Management team who possesses a unique blend of competencies and experience. He is an Economist by profession, holding a B.Sc. in Economics and M.Sc. in Development Statistics. 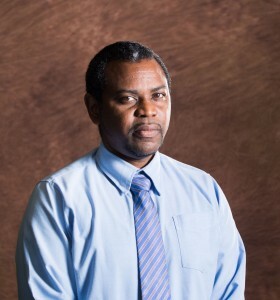 Over the past twenty-three (23) years at the Central Bank, he has worked in various departments including the Research and Statistics Department and the National Financial Literacy Programme where he introduced a number of innovative approaches to outreach programmes to the public. In addition, Mr. Stoddard’s understanding of economics and finance, together with his experience as President of the Central Bank Credit Union over the past twelve (12) years, provides him with a rich perspective on how to advance the rapprochement between the public and domestic financial institutions particularly in the current challenging economic environment. Ms. Annalisa Vallabh-Patel is one of the latest additions to the Office of the Financial Services Ombudsman having joined on May 1st, 2013; marking the first time that an attorney-at-law has been attached to the Office. Ms. Vallabh-Patel joins at a critical time when we transition from a voluntary scheme to a mandatory one, enshrined in law. She holds a Bachelor of Law Degree from the University of the West Indies, Cave Hill Campus, and attended the Hugh Wooding Law School. 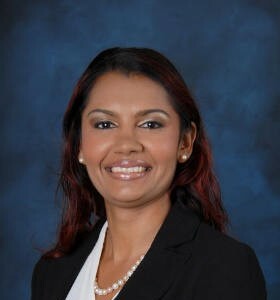 Ms. Vallabh-Patel is also a trained Mediator and is certified by the Mediation Board of Trinidad and Tobago. 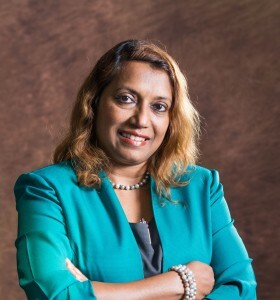 Soon to be entering her eighth year of practice, Ms. Vallabh-Patel’s passion is working in consumer protection environments having been previously employed with the Trinidad and Tobago Bureau of Standards and the Ministry of Legal Affairs where she held a number of positions including Head, Legal Services Unit, for three years. 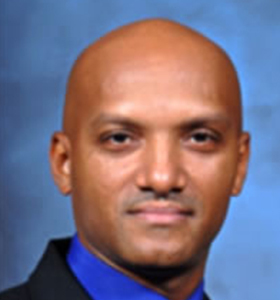 Mr. Lester Paul joined the Central Bank of Trinidad and Tobago on December 3, 1990. He has worked in several departments including Exchange Control, General and Facilities Services and Banking Operations. Mr. Paul possesses a Masters of Business Administration (Distinction) from the Heriot-Watt University (UK), a Bachelor of Science Degree in Management Studies from the University of The West Indies and is also the holder of a Diploma in Banking and Finance from the Institute of Banking and Finance of Trinidad and Tobago. Additionally, he has a Certificate of Achievement in Alternative Dispute Resolution from the Stitt Feld Handy Group / University of Windsor, Canada. On October 24, 2011 Mr. Paul was assigned to the Office of the Financial Services Ombudsman. 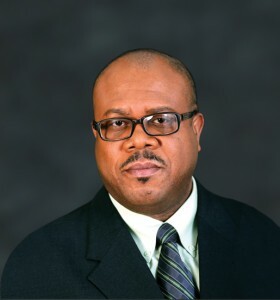 He brought to the Office a passion for excellence as well as sound knowledge of banking and financial services and procedures, having worked as a Banking Operations Officer for several years prior to joining the OFSO. Mr. Paul currently holds the position of Resolution Officer II at the OFSO. In February, 2008 Karen Thompson- Morris joined the team at the Office of the Financial Services Ombudsman, after serving in the insurance industry for over 25 years. She brings a wealth of knowledge to the Office having worked and trained extensively in many facets of insurance operations. She also possesses a great deal of experience in the areas of customer service, claims and marketing. At the OFSO, Karen currently performs the duties of a Resolutions Officer. Mrs. Deborah-Jean Esdelle joined the Office of the Financial Services Ombudsman in March 2011, after 20 years of service in the Central Bank. 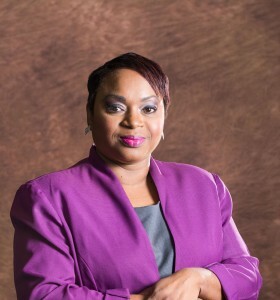 She holds a Bachelor of Science degree in Management Studies from the University of the West Indies as well as a Certificate of Achievement in Alternative Dispute Resolution from the Stitt Feld Handy Group / University of Windsor, Canada. Deborah is highly results-oriented, focused and committed to providing excellent customer service. Having served in an Administrative capacity in the Financial Institutions Supervision Department, Internal Audit Department and the Information Technology Services Department respectively, she now brings these cumulative skills and training to the resolution process in the Ombudsman’s Office. Mrs. Angeline Maharaj-Jarvis joined the Central Bank on November 7, 1988. During her twenty-five year tenure at the Bank, she worked with the Exchange Control Department for three (3) years. The greater part of Angeline’s tenure with the Bank was spent with the Financial Institutions Supervisory Department (FISD) where she worked for eighteen (18) years. In that Department, she gained a wealth of experience in the regulatory field as FISD is responsible for supervising the operations of all financial institutions licensed under the Financial Institutions Act, Chap. 79:09, and Insurance Companies, Insurance Intermediaries and Pension Plans registered under the Insurance Act, Chap. 84:01 in order to determine if they are in sound financial condition and operating in accordance with the relevant laws, regulations and guidelines issued by the Central Bank. Subsequent to this, she was employed in Banking Operations for a period of four (4) years. On November 1st 2013 she joined the Office of the Financial Services Ombudsman in the capacity of Senior OFSO Assistant to share her wealth of experience and broaden her knowledge base of consumer protection mechanisms. Helen Houlder has been involved in clerical and administrative duties for several years. She has gained her work experience from various organizations before entering the Central Bank of Trinidad and Tobago. She joined the staff of the Office of the Financial Services Ombudsman (OFSO) in October 2012 in the capacity of temporary clerical officer. She became confirmed member of staff in June 2013. Helen currently provides clerical duties to the OFSO as well as receives complaints from members of the public against commercial banks and insurance companies. 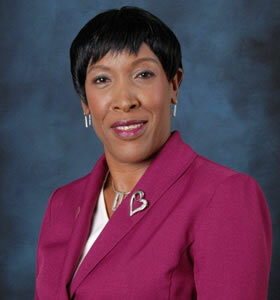 Ms. Tanya Forbes has been employed with the Central Bank of Trinidad and Tobago since February 1, 2006. She worked in the Reserve Management Department for seven and a half years and then moved to the 50th Anniversary Secretariat for one year before joining the Office of the Financial Services Ombudsman on November 3, 2014. 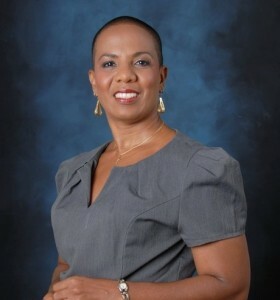 Ms. Forbes holds a Bachelor of Science Degree in Management with Minors in Finance and Psychology from the University of the West Indies, a Bachelor of Law Degree from the University of London External Programme and a Post Graduate Certificate in Event Management from the Arthur Lok Jack Graduate School of Business. The analytical and technical skills amassed from working in the Reserve Management Department and through training, will be beneficial to the Office of the Financial Services Ombudsman. Tanya’s passion for knowledge and information makes her an ideal candidate for the position she now holds as Resolution Officer 1 as this will give her the opportunity to learn more on consumer protection and the mechanisms in place to assist consumers in the financial industry. 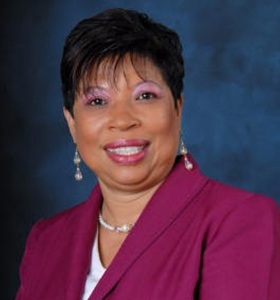 Mrs. Carla Burgess joined the Central Bank of Trinidad and Tobago on March 18, 1996 in the capacity of Secretary. Carla has worked in a number of departments throughout the Bank and was able to acquire a wealth of knowledge and appreciation for the Administrative field. In July 2003, Carla attained an Associate Degree in Public Relations & Journalism at the College of Science, Technology & Applied Arts of Trinidad & Tobago (COSTAATT). She then proceeded to pursue a certificate course at the University of the West Indies in Business Management. 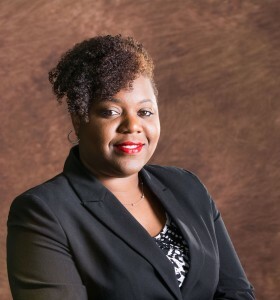 In 2006, she continued to further her studies along the lines of communications and succeeded in achieving her Bachelor’s Degree in Mass Communications at COSTAATT. In November 2014, Carla was transferred from the 50th Anniversary Secretariat to the Office of the Financial Services in the capacity of FSO Assistant. Currently she holds the position of FSO Technician at the Office of the Financial Services Ombudsman. Mr. Andrew Jattan joined the Central Bank in December 1979 and has worked in various Departments during his tenure including Foreign Exchange, Reserve Management, Information Technology, General Services and Finance and Accounting but his longest stint was in the Banking Operations Department where he worked for 17 years. He joined the OFSO in May 2014 and has been a valuable asset in the accounting arm of the Agency as he serves as the designated point person in the execution of the external audit of the OFSO’s financials.